Shelves stacked high with beloved children’s books line the walls of Jackson Academy’s Preschool Library. 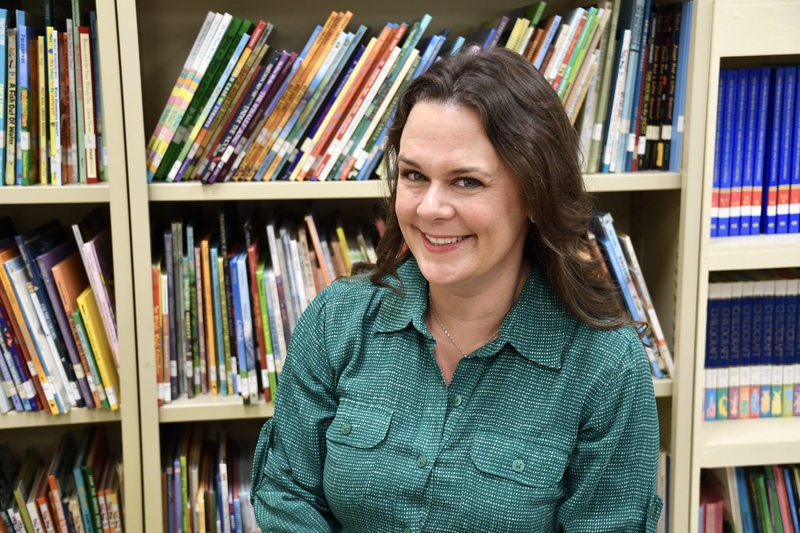 Tiny chairs and tables are arranged around the room where Ali Dinkins’ lifelong love of books fuels her enthusiasm and captivates her daily audience of students. Dinkins has always loved picture books. She used them in high school speech classes and received them as birthday presents in college. “I didn’t know that that was unusual,” she says. At Baylor University, Dinkins studied theatre and early childhood education, anticipating a future role as a teacher. She spent two years with a classical repertory theatre in Detroit after college, where she earned a master’s degree in theatre. Since moving to Jackson she has played the title roles in “Lilly’s Purple Plastic Purse” and “The Velveteen Rabbit” at New Stage Theatre. When the Dinkins came home for Christmas that year they did a book drive for donations to help build the library at the school in Costa Rica. Each family member packed two 50-pound suitcases for the trip. “Six of us, so 600 pounds of books,” she says. Only it was actually 550 pounds — one suitcase credit had to be used for a kayak. Dinkins’ children flourished as the family embraced Costa Rican culture. “It helped us all to appreciate each other,” Dinkins says. Tasks such as shopping for peanut butter when no one knew the words, or pulling their truck out of a mountain ditch, brought them together as a team.